Happy Friday everyone!! I hope you are having a glorious day so far! So, I just have to say that I am so happy to hear the excitement about Glitz Design offering a monthly challenge now, and I am so excited that we have some awesome projects created for it so far!! CLICK HERE to see the original blog post for "Get Your Glitz On" challenge #1, and where you can get all the details. 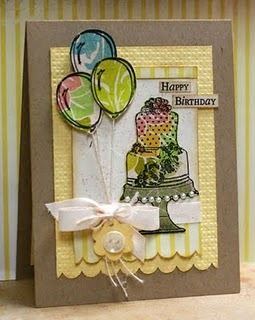 Our fabulous DT member, Kristii Lockart, has created some cards today with her favorite Glitz Design products, both new and *a little* older. Check them out! Aren't they fabulous?!! Be sure to head on over to Kristii's blog post today, so you can see the detail shots of her cards and read all about how she created them!! We can't wait to see more entries for the challenge! And thanks to everyone so far who has created an amazing project and linked it for us to see! Don't forget...for this challenge, you can create anything with Glitz product! 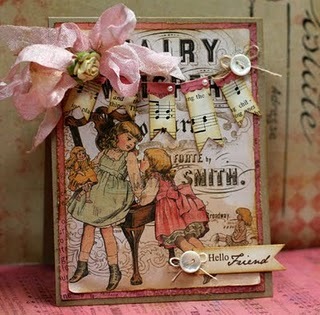 Layouts, cards, home decor pieces, mini albums, altered items....the list goes on and on!! so many great layouts, it's going to be difficult to pick a winner! thanks for a chance to win amazing goodies!